Sunday Game Day Takeout Coupon! Gear up for the big game on Sunday with this coupon for 20% off takeout from Eat'n Park! Sounds like a win to us! This coupon is only valid on Sunday, February 2, 2014. Valid Sunday, February 2nd only. Coupon must be printed to be redeemed. $1 Off a Quart of Soup To Go Coupon! Valid January 28-29, 2014. Coupon must be printed to be redeemed. 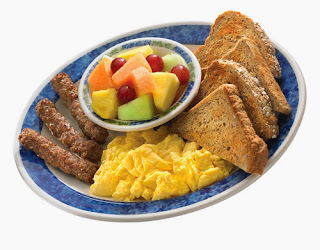 Start your day off right – with a healthy breakfast at Eat'n Park! Choose from pancakes, waffles, sandwiches and more that clock in at less than 500 calories. Read on to learn more! 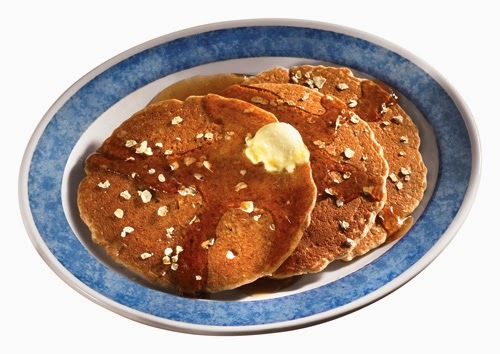 Or, choose from buttermilk, wholegrain, or blueberry pancakes. 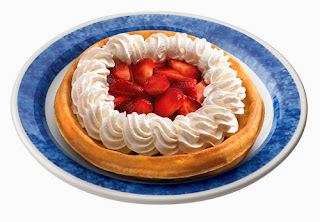 Made with our secret batter, they are fluffy and delicious! If waffles are more your style, try our Strawberry Belgian Waffle, topped with fresh sliced strawberries, or our classic Smiley Belgian Waffle. 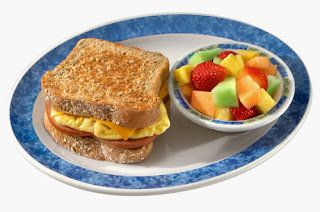 We also offer Quaker Oatmeal with fruit and six grain bread for just 418 calories. You can also substitute egg whites or better'n eggs with any breakfast, turkey sausage for regular sausage, six grain toast for regular toast, and fresh fruit instead of potatoes as a breakfast side! We also offer Promise margarine and Smuckers sugar-free syrup. We make healthy eating easy!